ON APRIL 15, 1912, a tiny vessel measuring no more than 170 metres in length was thrust into the limelight after answering a distress signal from the RMS Titanic. The RMS Carpathia was operating as a cruise ship at the tim,e under the command of Captain Arthur H. Rostron, but when the call came through about the Titanic, the ship’s crew quickly sprang into action. Their actions saved countless lives and yet the RMS Carpathia has all but faded from history in the decades since. 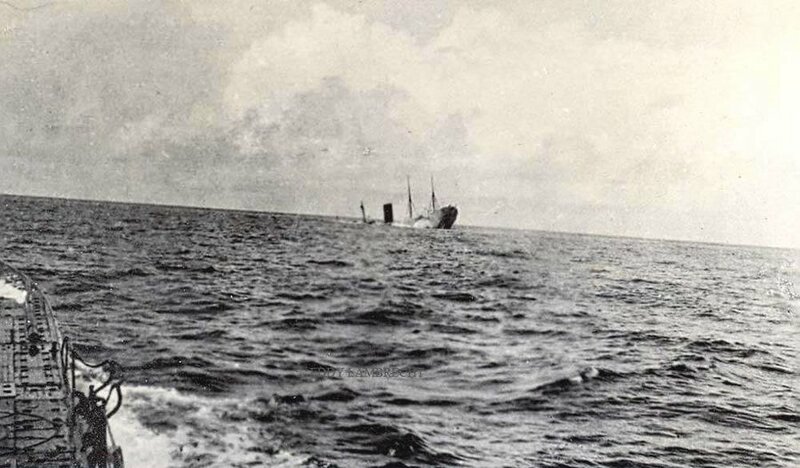 Here are 12 things you never knew about the ship that saved Titanic's survivors. 1. The Carpathia was launched by the Sawn Hunter & Wigham Richardson Company from their shipyard in Newcastle upon Tyne in 1902. It initially operated as a transatlantic service for immigrants eager to travel to America before being refitted as a cruise ship in 1905. 2. By January 1912, Carpathia was operating under the command of Captain Rostron, making made transatlantic crossings that brought immigrants to America and the wealthy to the Mediterranean for pleasure cruises. It had embarked on one such cruise on April 11th, 1912 with some 700 people on board. 3. Just a few days into their voyage, the Carpathia’s wireless operator heard the Titanic’s S.O.S and C.Q.D. calls. Captain Roston was summoned from his cabin in the middle of the night. He immediately ordered the ship to assist the sinking liner. They set off at full stream through an ice field to reach the Titanic, which was 60 miles away. 4. As the ship made its way to the Titanic, Captain Rostron issued a series of orders to prepare the Carpathia for rescue operations. Extra rooms, officers’ quarters and common rooms were prepared to receive survivors while blankets, soups and drinks were readied. Dining rooms were transformed into makeshift hospitals and additional lookouts were posted to look for survivors and other icebergs. 5. Lifeboats were swung out, all gangway doors were opened and the heating, hot water and steam supply to passenger cabins were cut to increase the ship’s top speed. Captain Roston’s quick thinking saw the vessel’s top speed move from 14.5 knot to 18 knots – helping the Carpathia shave an hour of the journey. 6. The Carpathia passed six icebergs on its way to the Titanic with Captain Rostron said to have whispered a quiet prayer during the high-speed, high-risk journey. Thinking back on the daring rescue, Rostron, who was a religious man, reflected: "I can only conclude another hand than mine was on the helm." 7. As Carpathia neared the suspected site of the sinking at 4am on April 15th Rostron ordered green starburst rockets be launched to alert the sinking ship, or her survivors. They then began rescuing survivors in an operation that lasted some four hours.By 8:15am, the Carpathia had rescued 705 survivors. Despite being dangerously over capacity, they set sail for New York, arriving on April 18th where they were greeted by thousands of people. 8. 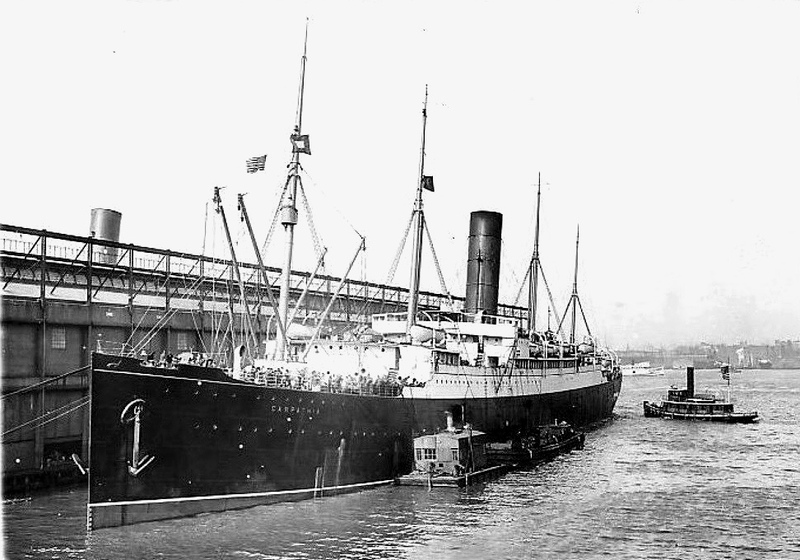 Late on in the rescue operation, the Carpathia would be briefly joined by the SS Calfornian, a ship it would later emerge was only five miles from the Titanic during the sinking. Incredibly, the Californian only responded to the Titanic’s pleas for help a day after the initial distress signals were sent. 9. 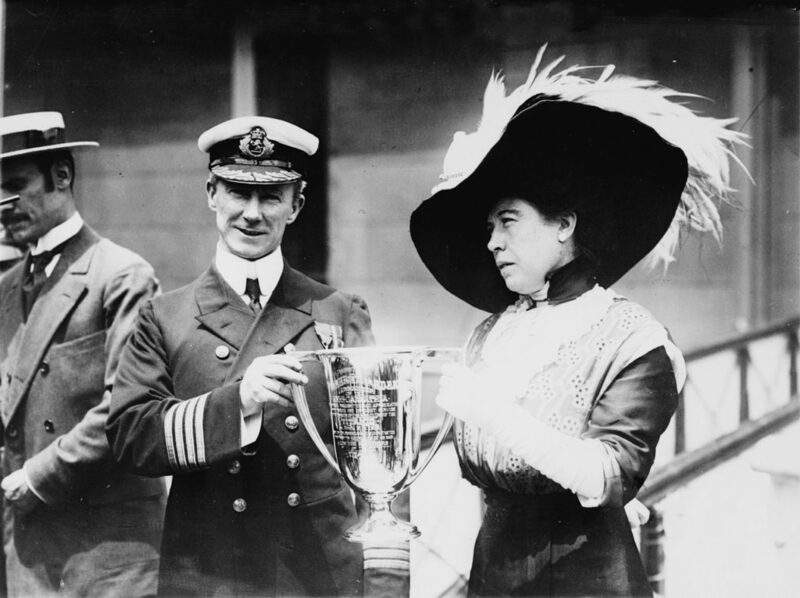 The Carpathia's crew received medals from the survivors for their efforts. Crew members were given bronze medals and officers were handed silver while Captain Rostron received a silver cup and gold medal. Rostron was later knighted by King George V, and was invited to the White House by President Taft who presented him with a Congressional Gold Medal - the highest honour the United States Congress offers. 10. The Carpathia’s moment in the spotlight was fleeting. Two years after its daring rescue mission the first World War began. Carpathia was transformed into a troopship, transporting Canadian and American troops into Europe during the war. On the morning of July 17th, 1918, it was struck by a German U-Boat torpedo in the Celtic Sea and began to sink. The ship’s captain and crew abandoned ship, escaping in lifeboats thanks to the protective force of the nearby HMS Snowdrop. 11. The American and the British inquiries both praised Captain Rostron for his efforts in the disaster. He continued to command the Carpathia for another year before moving on to command several other ships. Captain Rostron then served as part of the British Navey inthe First World War, earning a Commander of the Order of the British Empire in the 1919 New Year Honours list. He later retired to Southampton and passed away in 1940, aged 71. 12. In 2000, the wreck of the Carpathia was discovered sitting upright in 500 feet of water 190km west of Fastnet, Ireland. The wreck is now owned by Premier Exhibitions Inc., formerly RMS Titanic Inc., which plans to recover objects from the wreck.